After touring in China, Studio Roosegaarde’s Smog Free Project will offer a vision of clean air in a new location: Poland. 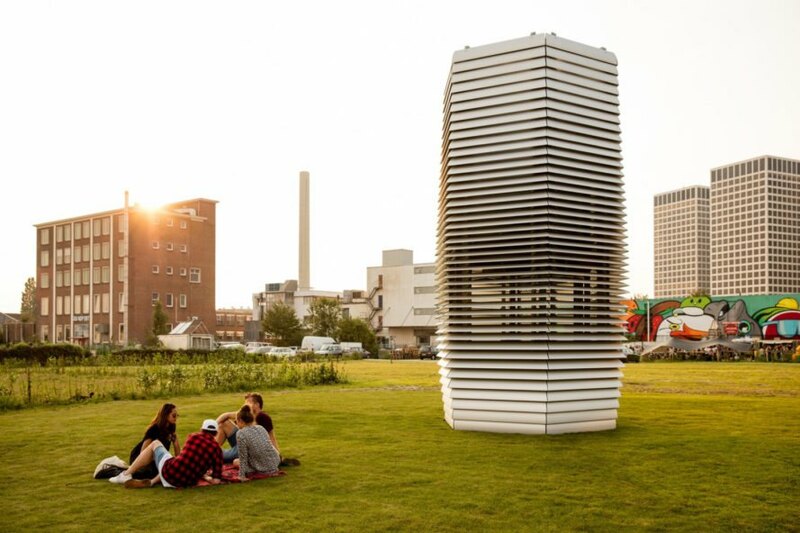 Daan Roosegaarde’s studio will install a Smog Free Tower – described by the studio as “the world’s first smog vacuum cleaner” – in Kraków’s Park Jordana. Studio Roosegaarde’s Smog Free Tower will start sucking pollution out of the air in Park Jordana from February 16 to April 15. Visitors to the project will also have an opportunity to see the Smog Free Ring at a Smog Free Project pop up at the Museum of Contemporary Art in Krakow (MOCAK). The tower, which is almost 23-feet-tall, draws on patented positive ionization technology to scrub the air of pollutants. Roosegaarde told Inhabitat last year the tower offers “a local solution on a park level: to create these bubbles of clean air in the city.” He said areas around the tower are “55 to 70 percent cleaner than the rest of the city” – and research from the Eindhoven University of Technology confirmed the tower’s efficacy. Krakow has wrestled with smog in the past; a 2016 article in the Krakow Post reported the city’s air quality has often been worse than other cities known for their air pollution like Los Angeles and Beijing. On high smog-alert days, the city’s particulate-matter pollution can hit levels six times those thought to be safe, according the World Health Organization. ING Bank Śląski S.A. is the project’s main partner in Poland; MOCAK, the Municipality of Kraków, and the Embassy of the Kingdom of the Netherlands’ in Poland are also supporters. Studio Roosegaarde's Smog Free Project is coming to Poland. 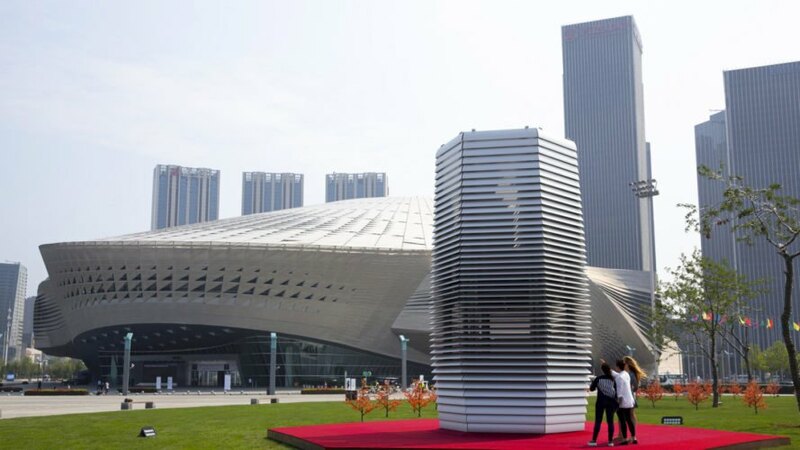 They describe their Smog Free Tower as the "world's first smog vacuum cleaner." 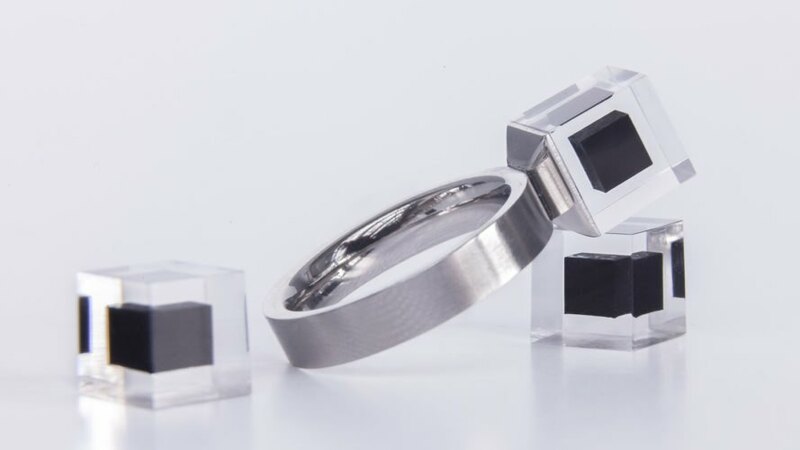 They'll also open a Smog Free Project pop up with the Smog Free Rings at the Museum of Contemporary Art in Krakow. They've brought the Smog Free Tower to locations around the world like this one at the World Economic Forum in Dalian, China last year.